Wall mounted line voltage fan-coil thermostat. For control of the valve, or the valve and the fan in 2-pipe fan-coil applications. 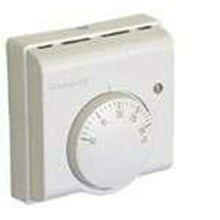 T6372C and T6373C use a pipe thermostat ( L641B1004) to provide automatic heat/ cool changeover, depending on the temperature of the water supplied to the fan-coil unit. 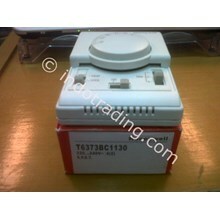 T6373A1157 requires a central switch to change from heating to cooling, for central control of multiple units. 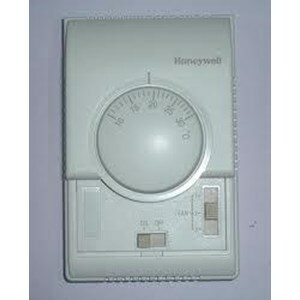 thermostat Honeywell T6373 A1018 ! 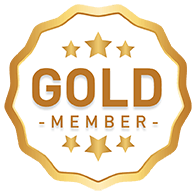 IndoTrading.com adalah media iklan khusus Perusahaan, Toko, Distributor, Grosir, Agen, Supplier, Importir, Exportir, Trading dan Pabrik. Jika Anda tertarik untuk membeli thermostat Honeywell T6373 A1018 ini dengan harga murah, Mohon hubungi Kontak Perusahaan ini diatas.